It’s been a while since my last post but summer is already here, so many things to do it’s not even funny. Anyway, a while ago we made (it was a group effort lol) a breakfast pizza that was simply amazing. 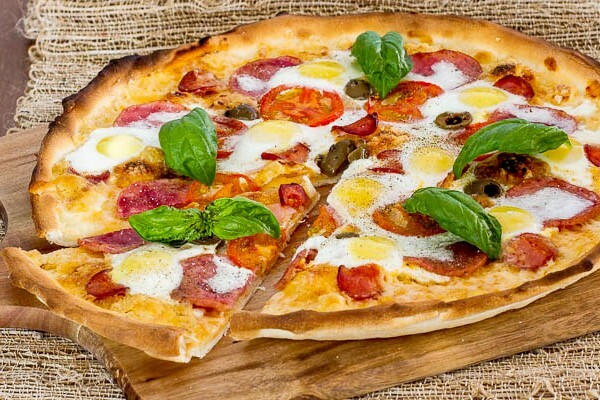 I love eggs, sunny side up usually, so the idea to put them on a pizza came natural. The rest of ingredients were pretty easy to choose as well… think eggs and bacon. We loved this pizza so much, I had to make it again, but this time I tried using quail eggs instead. 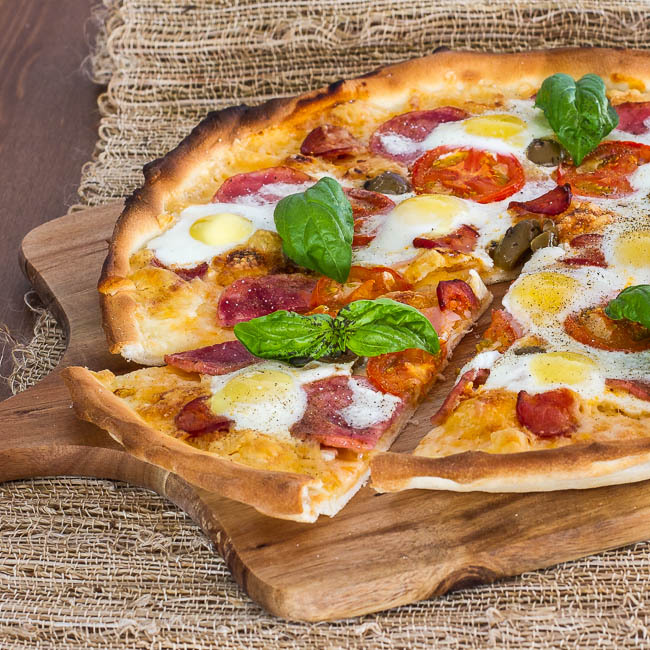 There are other differences between my original breakfast pizza and this one but you can always follow the initial recipe or make your own combinations if you want. This time I used back bacon which in US is most commonly called Canadian bacon but as always, use whatever you have in the fridge. What I found a bit difficult was breaking the freakin’ quail eggs properly, so I don’t break the yolk and it was a pain, the shell seems thicker than a chicken egg. Still, I did it and we loved it… time to try it for yourself. Arrange the mozzarella cheese evenly over the dough. Add back bacon, olives and tomatoes to the pizza, making sure they're spread evenly over the pizza.